320 pages | 32 B/W Illus. 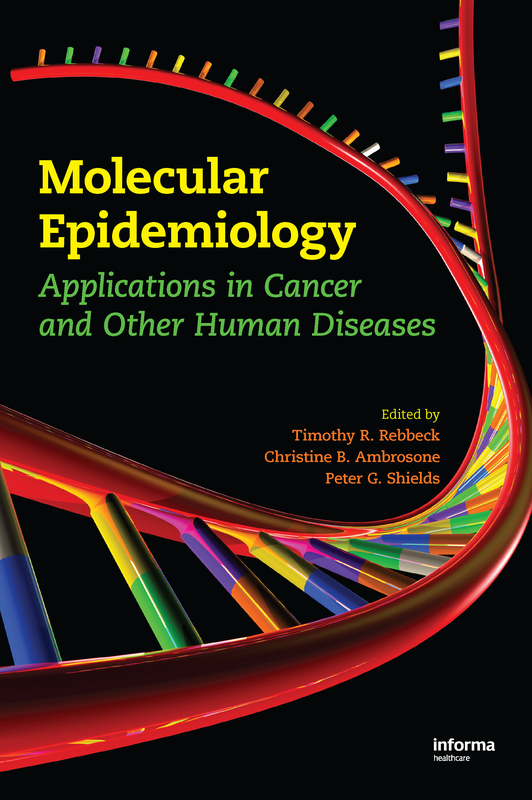 Covering design considerations, measurement issues, and methods of statistical inference, and filled with scientific tables, equations, and pictures, Molecular Epidemiology: Applications in Cancer and Other Human Diseases presents a solid, single-source foundation for conducting and interpreting molecular epidemiological studies. Design Considerations in Molecular. Family-Based Study Designs. Trials and Interventions in Molecular Epidemiology. Molecular Epidemiological Designs for Prognosis. Principles for High-Quality Genotyping. Biomarkers of Exposure and Effect. Questionnaire Assessment. Pharmacogenetics in cancer chemotherapy. Human genetic variation and its implication in understanding "race"/ethnicity and admixture. Statistical Approaches to Studies of Gene-Gene and Gene-environment Interactions. Novel Analytical Methods for Association Studies. Pathway-Based Methods In Molecular Cancer Epidemiology. Haplotype Association Analysis. Genome-Wide Association Studies. Models of Absolute Risk: Interpretation, Estimation, Validation, and Application. Validation and Confirmation of Associations. Reporting and Interpreting Results. TIMOTHY R. REBBECK is Professor of Epidemiology, Director of the Center for Genetics and Complex Traits, and Associate Director for Population Science of the Abramson Cancer Center at the University of Pennsylvania in Philadelphia. Dr. Rebbeck received his Ph.D. from the University of Michigan, Ann Arbor, and has written over 150 peer-reviewed articles. CHRISTINE B. AMBROSONE is Chair, Department of Cancer Prevention and Control, Roswell Park Cancer Institute, Buffalo, New York. Dr. Ambrosone received her Ph.D. from the Roswell Park Cancer Institute, State University of New York at Buffalo, and has written over 115 peer-reviewed articles. PETER G. SHIELDS is Professor of Medicine and Oncology Interim Academic Chair, Department of Medicine Deputy Director, Lombardi Comprehensive Cancer Center, Georgetown University Medical Center, Washington DC. Dr. Shields received his M.D. Medical Doctor, Mount Sinai School of Medicine, New York, New York, and has written over 140 peer-reviewed articles.